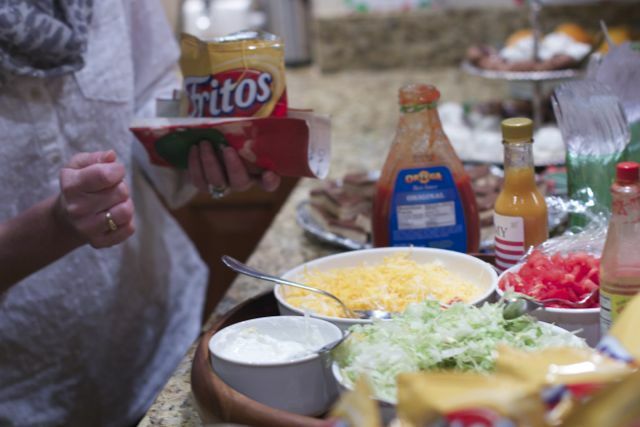 Updated this post about walking tacos a great party food 12/16. I am not sure if football is on as much at your house as it seems to be at ours. My husband and son won their Fantasy Football league this year and that must be why. Last year they came in very last and I don’t remember all that much Football watching!! With the playoffs and Superbowl around the corner, I thought I would share this idea of Walking Tacos. 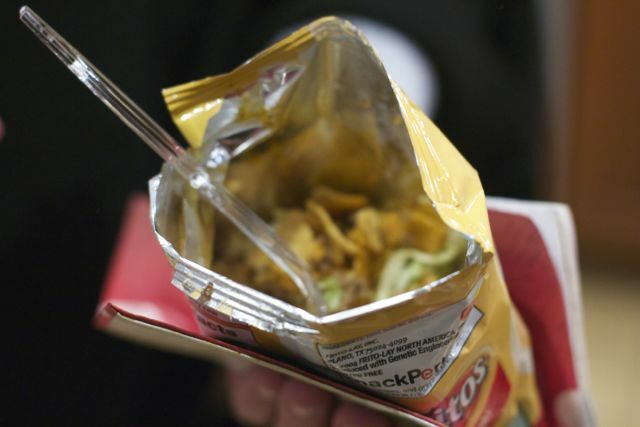 These walking tacos are definitely more of an idea than a recipe. 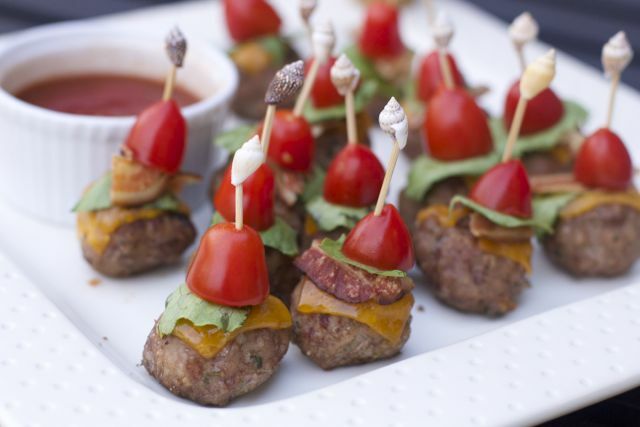 These are perfect for a graduation party too. 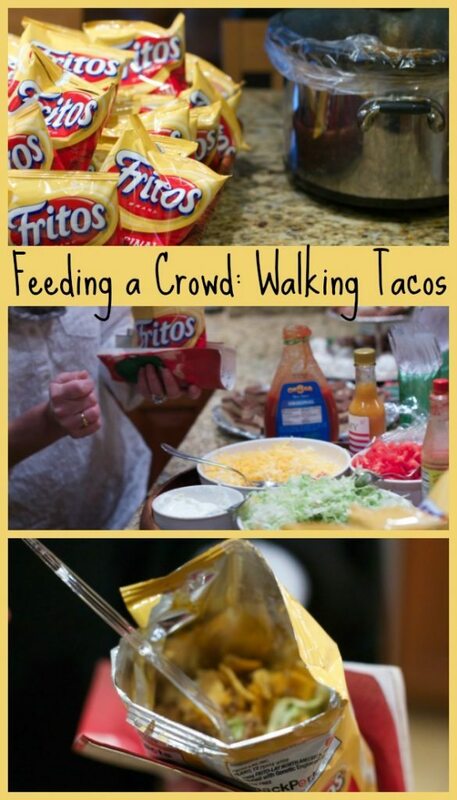 So whether you are making walking tacos for 50 or 100 you can use this basic process. 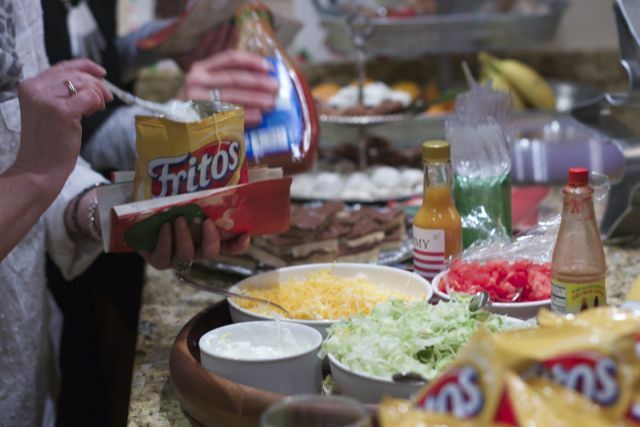 Walking tacos would really be good for any casual occasion, even if you are tailgating. To this date, I have still served these to fewer kids than adults. 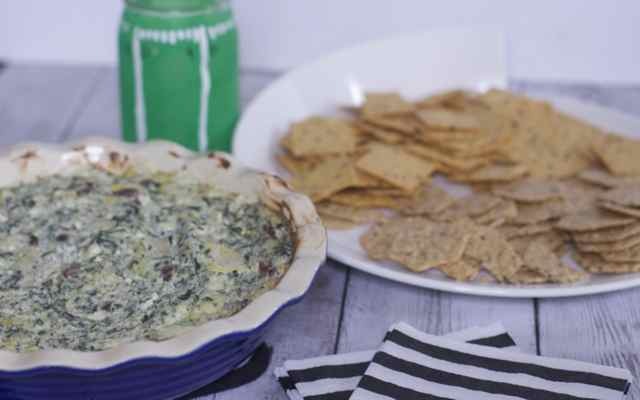 It is such a great casual entertaining option and “heavy appetizer”. We have made tacos for 10 and walking tacos for 50 it is just a matter of browning more meat and buying more chips. 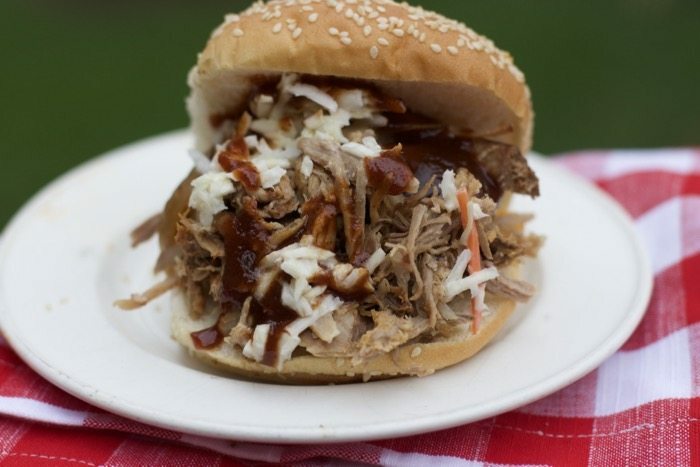 It is truly an easy way to feed a crowd. We recently were part of a neighborhood progressive cocktail party. 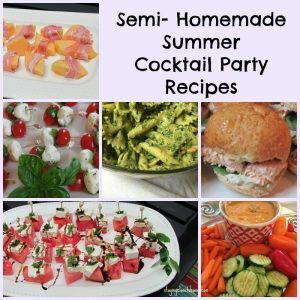 My house was going to be 4th on our hop and wanted to serve something a little more substantial than another light appetizer as people would have already been drinking for 3 hrs before arriving. 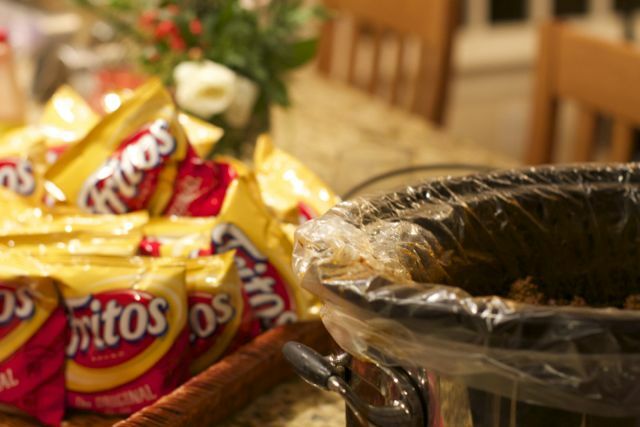 My friend Melanie told me about how she served Walking tacos for Parent’s weekend at her husband’s boarding school. 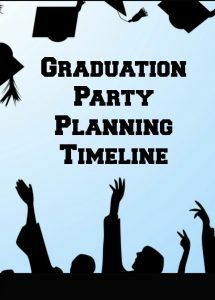 We were expecting about 50 people at our house but not sure how many would actually participate in this idea. I browned 3 lbs of ground beef and added 3 Taco seasonings packets to them. Immediately moved them to the crockpot and put it on low. UPDATE: hosted 40 people recently and browned 7 pounds of meat. I only had a few scoops of meat left. I left the 3rd house a few minutes early and put out the toppings. We had taco sauce, salsa, sour cream, and cheese. I also put a pot of black beans on the stove for those who did not eat red meat or just wanted to add beans to their tacos. Well, you are probably wondering where I am going with this. 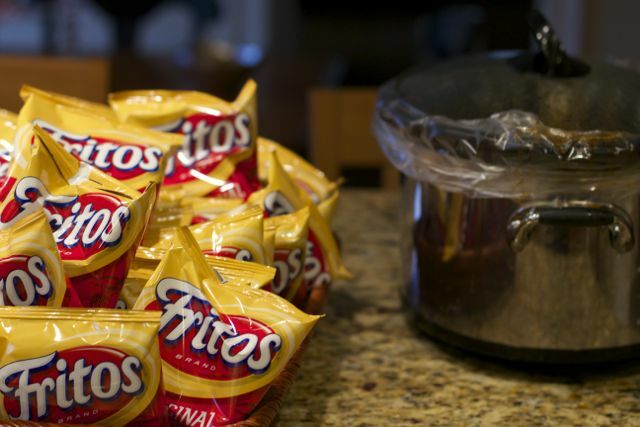 When it was time to eat, the folks (ranging in age from 30’s to 60’s) had to open up a single serving size bag of Doritos or Fritos, crush them up ever so slightly and then add the fixings. They are walking tacos because you grab a fork and the bag is your server, however, the bag does get a little warm so definitely encourage a napkin. I am not sure one other person there had ever had them. Granted some were tipsy but they really enjoyed them and can also use tortilla chips or Frito bags. 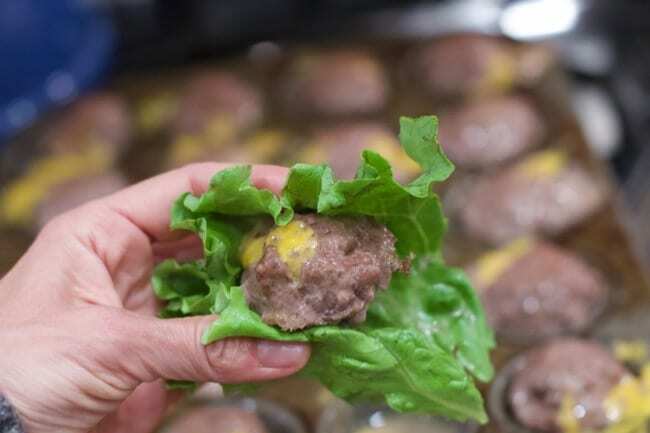 Use any taco meat recipe you choose, even have two crock pots going if you want more variety. Because the house visit was only 1 hour, people only had one taco so the 3 lbs of meat easily made 35-40 walking tacos. My kids also loved them as I let them have that for dinner before the party. 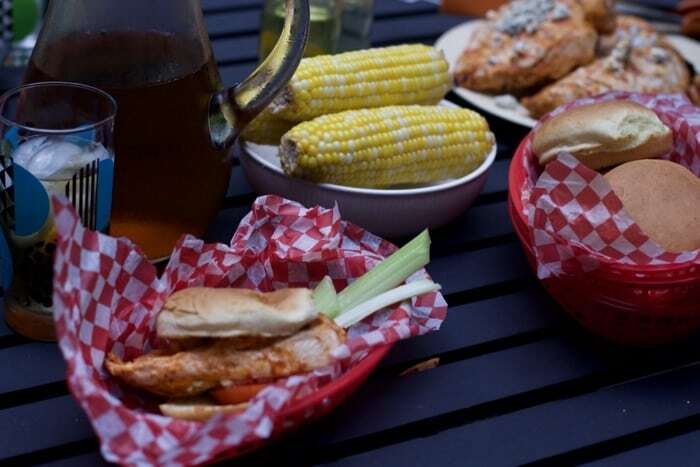 It would be a great kids meal at a party as well. 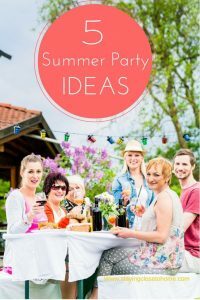 Love entertaining and want to make it fun and easy for everyone. Don’t miss out on more tips from Close to Home where we share recipes, crafts, entertaining tips, and family friendly product reviews. 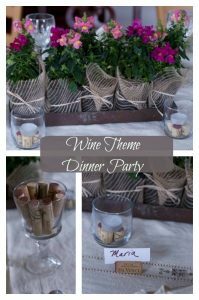 Entertaining should be fun and casual for both the hostess and the guests. Surprise them with Walking Tacos. 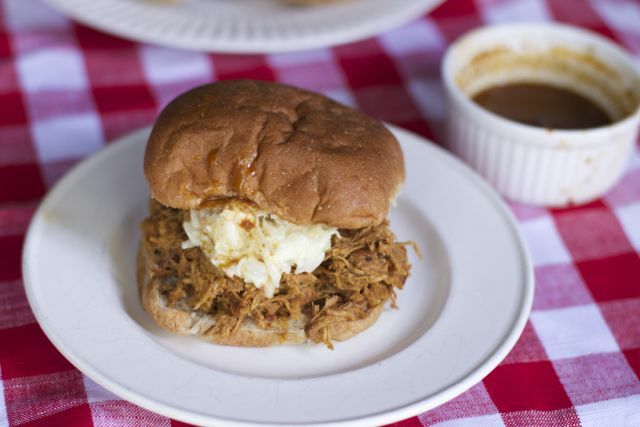 Serve this up with a Texas Sheet Cake that serves a crowd and made up to the day ahead. This may be the best idea ever! I can’t wait to try this! Cool. I’ve never heard of walking tacos. I do recall my long-age days of Girl Scout Tacos. I made some recently because I was craving them and was not impressed. Haha! I must have used the wrong kind of Doritos to get that familiar love going on. I forgot all about walking tacos!!! This would be perfect for the busy soccer season. Thank you so much for sharing. That’s a great IDEA!! My kind of recipe! We will def. be trying that at our house. 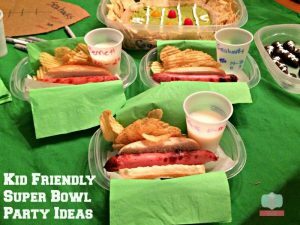 I am so excited to have seen this post…this would be an awesome idea for a Superbowl party!! LOVE IT!! Thank you for sharing!! Nifty idea! Maybe we’ll try it sometime.